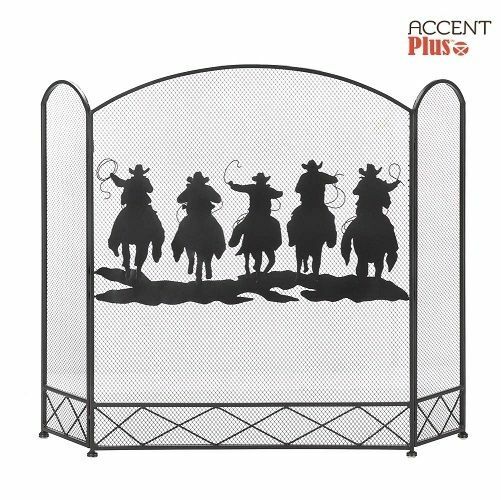 Five cowboys are about to finish their work for the day, riding fast and rounding up their livestock, which is artistically rendered on this rustic fireplace screen. 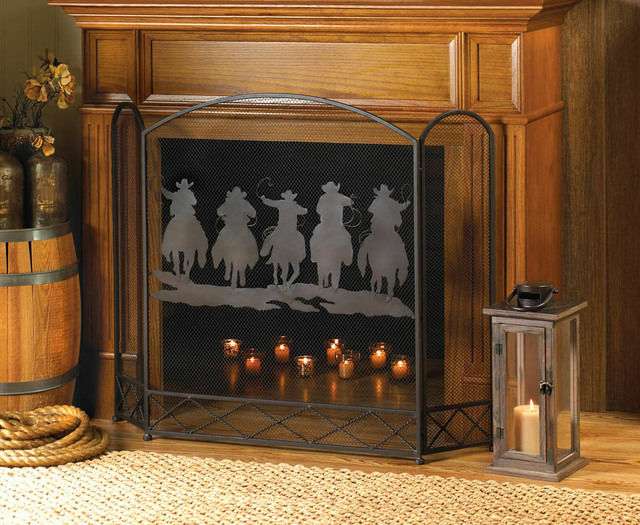 The mesh center panel features this cowboy scene that will be beautifully back lit by the flickering flames in your fireplace. The screens tri-fold construction allows you to fit this accent in your decor with ease. Center panel: 25 1/2" x 31 1/8" high; each side panel is 7 1/2" x 29 3/4" high. Dimensions: 25.5" x 8.5" x 31.1"